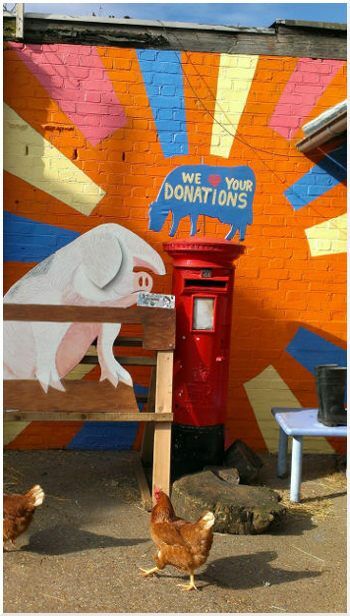 During Half Term local artist and farm volunteer Lucy Caithness designed and created a new mural for our donations box area. Lucy was helped in the project by several young volunteers who came and helped paint the mural. Many thanks to Lucy and all the volunteers, they did a great job and brightened up our donation box area.